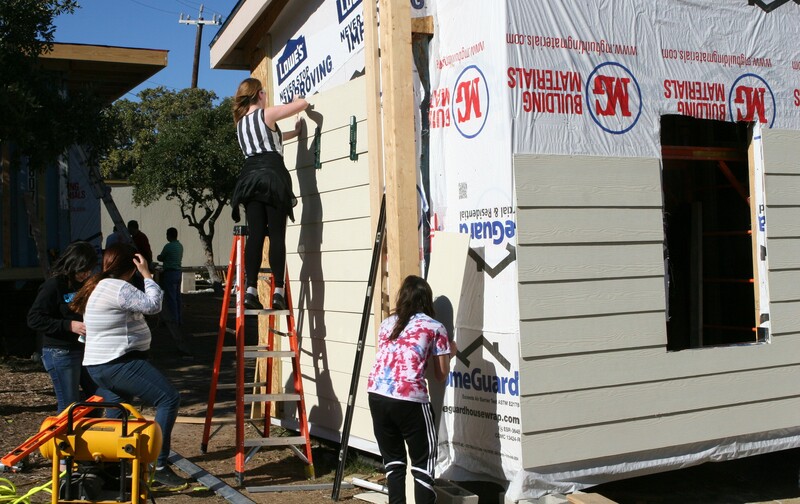 Bob Nelson watched as teams of high school students hammered, sawed and studied construction plans to convert four shipping containers into micro-homes. Part of Construction Careers Academy at Warren High School, the students are working on this year’s project, to convert four 40x8x8-foot shipping containers into four types of home, following city code: an energy efficient home, a home that meets ADA requirements, an outdoor living home and a man cave. As Nelson watched, seniors working as construction managers made sure their teams had the right safety gear and equipment to complete tasks. Others climbed ladders to hammer in some plywood siding. 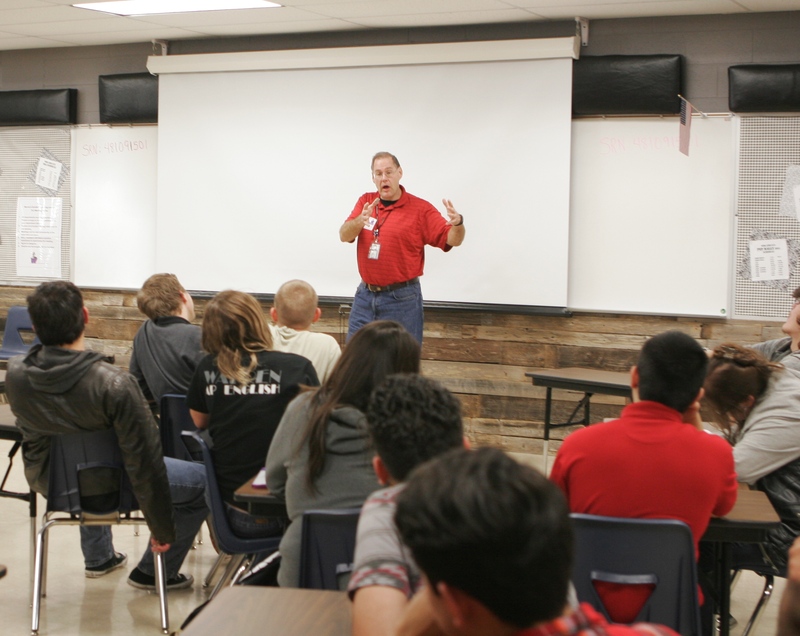 Nelson, a CPS Energy engineering associate who helps customers take advantage of commercial rebates, spoke to the students recently, offering concrete building and safety tips, but also emphasizing the need for future generations to get hands-on training to fill jobs that are in high demand. According to Job2Careers, there are thousands — encouraging news to senior Dameon Buhl-Strubble, who is working as an electrician on the shipping container project. Senior Roberto Muñiz, who plans to pursue a trade at St. Philip’s College or Texas A&M San Antonio, was also happy to hear Nelson talk about the great job potential in our community. Nelson challenged the notion that everyone is destined for college. CPS Energy Engineering Associate Bob Nelson speaks to a group of more than 60 students at the Construction Careers Academy. He also assured students they could do very well financially if they choose a trade versus a college degree. The average bachelor’s degree in the U.S. costs students $127,000 while an average trade school degree costs $33,000, according to The Simple Dollar. Professor Steve Gallets, who oversees the program, invited Nelson to speak to the students. Gallets said students are looking forward to completing their micro-homes so they can show them off during their own Parade of Homes event this May. Eventually, they’ll be sold at auction and money will go back to funding the training programs. While the homes will turn a profit, the more valuable return on investment will come when these students fill important jobs in our community. this is an excellent story for sustainable housing and trades for the future.